Zevrix Solutions announces Graphic Inspector 2.4.1, a compatibility update to company’s quality control solution for images and vector graphics files. Graphic Inspector can quickly locate documents with specific attributes such as resolution, color, spot channels, fonts, metadata and more. The app is the only tool on the market that can preflight both raster images and vector documents for potential issues. The new version makes adds support for the recently released macOS 10.14 Mojave. Toronto (ON), Canada — Zevrix Solutions today announces the release of Graphic Inspector 2.4.1, a compatibility update to company’s quality control solution for images and vector graphic files. Graphic Inspector can check entire folders of documents for potential problems according to specific workflow requirements. The app is the only tool on the market that lets graphics industry professionals inspect both raster images and Adobe Illustrator documents. The new version introduces support for the recently released macOS 10.14 Mojave and is offered as a free update to the licensed users. While BatchOutput XLS is fully compatible with the new Dark Mode, the app currently preserves its original appearance. A dark appearance will be introduced in the future. Graphic Inspector is designed to help users of any trade, whether it’s print, prepress, web design, electronic publishing or digital photography. For example, users can quickly locate files whose color mode is CMYK, format – TIFF, resolution is below 300 dpi, ICC profile isn’t “US Web Coated” and so on. 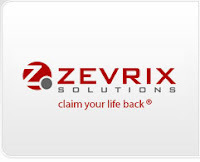 Graphic Inspector can be purchased from the Zevrix web site for US$19.95, as well as from authorized resellers. Graphic Inspector is free with purchase of PDF Checkpoint or InPreflight Pro for Adobe InDesign. Trial is also available for download. The update is free for users of version 2 ($10 to upgrade from version 1). Graphic Inspector requires macOS 10.7-10.14. Located in Toronto, Canada, Zevrix Solutions provides productivity solutions for Adobe Creative Suite software, PDF and graphic file diagnostics, file delivery, and Microsoft Office on Mac OS. Zevrix is dedicated to help professionals increase their profits through automating everyday tasks, producing error-free documents, saving disk space and cutting production costs. For more information, visit http://www.zevrix.com. Zevrix Solutions announces PDF Checkpoint 1.8.8, a compatibility update to company’s PDF preflight and conversion solution. Remarkably fast, PDF Checkpoint automatically preflights, exports as images, splits and optimizes Adobe PDF files. The software can also convert the PDF document colors to specific ICC profile helping users easily prepare their files for print, web and mobile devices. The new version adds support for macOS 10.14 Mojave and integration of the SoftwareKey licensing system. Toronto (ON), Canada — Zevrix Solutions today announces PDF Checkpoint 1.8.8, a compatibility update to company’s PDF preflight and conversion automation tool. Remarkably fast, PDF Checkpoint automatically preflights, exports as images, splits and optimizes multiple Adobe PDF files. PDF Checkpoint is an ideal solution for users who need a fast, affordable and easy to use app to check PDF files for errors and convert them to the desired format and color space. –Batch preflighting and conversion of PDF files. -Check PDF fonts, colors, images and metadata for specific attributes. –Convert PDF color mode using ICC profiles. -Split files into single page PDFs. -Route files by preflight results into success and error folders. –Export PDF as images with specific resolution, color and page scale. PDF Checkpoint can be purchased on Mac App Store and Zevrix website for US$39.95, as well as from authorized resellers. The update is free to licensed users. Trial is also available for download. PDF Checkpoint requires macOS 10.7-10.14. Located in Toronto, Canada, Zevrix Solutions provides automation and productivity solutions for Adobe Creative Suite software, PDF and graphic file diagnostics, as well as Microsoft Office on Mac OS. Zevrix Solutions is dedicated to helping professionals increase their profits through automating their everyday tasks, producing error-free documents, saving disk space and cutting production costs. For more information, visit http://www.zevrix.com.